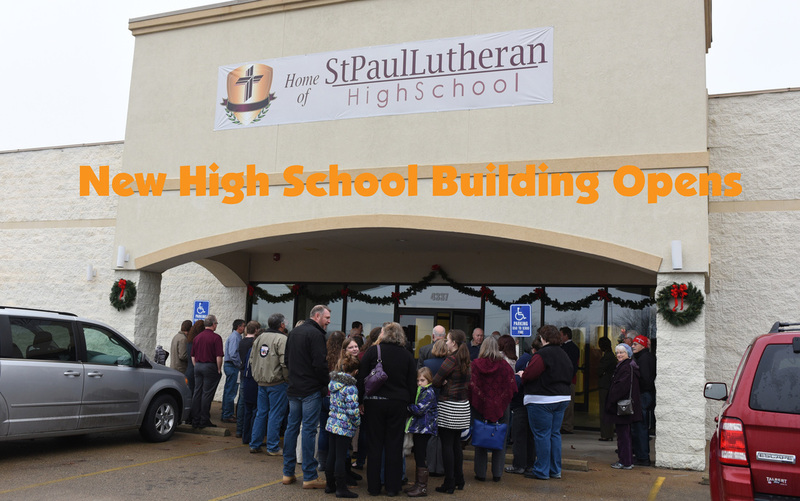 December 6 -- The new facility for St. Paul Lutheran High School was seen by the public for the first time today with a dedication ceremony and open house. Events began for the new school on Highway 67 on the north part of the city with a dedication ceremony lead by the Rev. J.T. King, pastor of St. Paul Lutheran Church and the Rev. Tristan Engle, pastor of Trinity Lutheran Church at Park Hills. Also featured at the ceremony was a girls’ choir from the school and remarks by Wayne Giesselmann, long-time principal of the school and now retired. The open house was scheduled from 10 a.m. to 1 p.m.